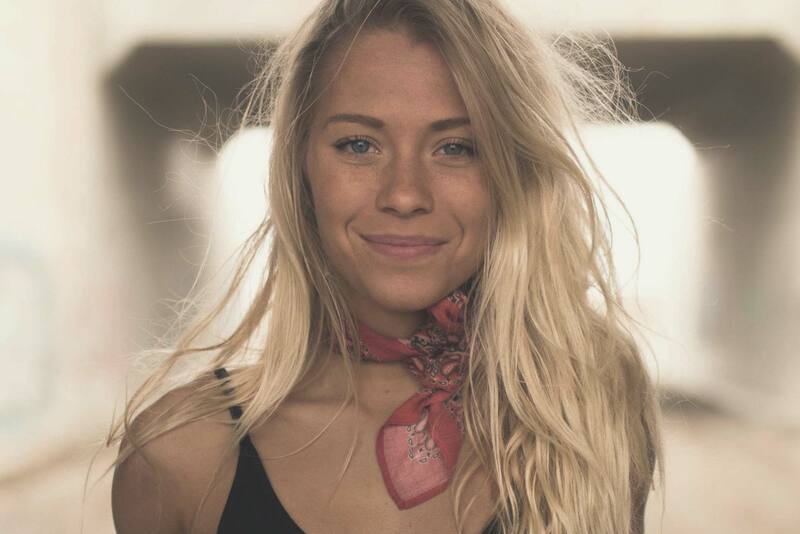 Julianna Laine is a 20-year-old emerging artist in the country music scene, bringing with her a new sound that combines beach culture with country music - think Kelsea Ballerini; now add a surfboard. Feeling like her heart needed to be by the ocean, Laine booked a one-way ticket, with a single and VERY overweight backpack, to Byron Bay, Australia and began her new adventure. While living “down under,” Julianna began to take her music seriously – writing songs and playing them at all hours of the day; busking on the streets, playing at bars and even bringing her guitar to the beach to sing songs between surf breaks. Through her music she met many local artists, such as Ziggy Alberts, who has had a very strong influence on her lyrical storytelling. She had the opportunity to play the BLUESFEST pre-party, featuring headliners such as Kendrick Lamar, Grace Potter and City and Colour. Now back and forth between California and Calgary, Julianna has been working hard to see her dreams come to life. She has been performing, working with her vocal coach and spending time in studio recording with other musicians. Her new single “Beachtown” was released August 4th and debuted in the iTunes Country Top 40! Since then, Laine has been busy performing and songwriting around Alberta and California. Keep your eye out for this upcoming artist; her feel-good sound is sure to vibe with your summer memories! I grew up with country music constantly being played around the house, whether that was on the radio or listening to my dad, who is also a musician, play songs on guitar. I learnt how to play a few chords when I was 14 and then started putting my thoughts into songs… naturally, those songs were country. I am drawn to country music because it feels so authentic and honest. Country music a safe place where you can sing about the hard things, but also write about hanging out with your friends on a Friday night or having a beer on the beach. Country music speaks to me because it allows people to connect with one another, and connect to the message that is being sung. I believe that there is an aspect of country music that each person can relate to and that’s what makes it so magical. I think I wrote my first song when I was around 13 or 14. I grew up listening to a ton of Taylor Swift (and probably watching every youtube video there was!) and my dream was to be a singer like her. I learnt my first four chords when I was 13 or 14 and then started putting them together with little pieces of lyrics I had written in my notebooks at school. Haha, I definitely don’t think anyone would want to hear the first song I’ve written! The trend that is sticking out to me in country music right now is vocal samples being used and how it adds a new layer to the “typical” country song. I’ve noticed it in some of Kelsea Ballerini’s material and Devin Dawsons songs! I’m excited to see how this trend progresses.